Wholesale natural stone slabs are our main strength, including marble, granite and quartzite. We are proud to offer a boutique selection of Australia’s most demanded stone slabs. Our company mission is to cater to the growing market for specialty and exotic stones. The individuality of natural stone forms the heart of Victoria Stone Gallery. We understand that each slab is unique, patterns and colours develop. These colour variations evolve throughout the entire stone block, and quarry. As each stone deserves your full attention, we approach our warehouse as a gallery. Each beautiful material is given it’s own space, with plenty of room for walking, standing back and admiring. We want to make finding your perfect stone an easy process. Victoria Stone Gallery was founded by a father and daughter team with a family history in the marble and granite industry. VSG is part of an international group of stone companies, encompassing fabrication through to quarrying. We travel regularly to visit suppliers, trade fairs, architects and designers. VSG are primarily a stone supplier. Most of our stone slabs are bought through stonemasons or trade partners. Retail customers are welcome to view our stone and we are able to recommend a stonemason for you. Industry professional? Contact us today to discuss trade pricing and special import orders. Why Choose Victoria Stone Gallery? Quality over quantity or quantity over quality? We don’t sway one way or the other. Having been in the natural stone slab industry for over 15 years, VSG have gained the knowledge, trust, and longstanding relations with Quarry owners and suppliers world-wide. Building the means to offer very competitive retail and wholesale pricing to and for projects, home-owners, architects, builders and fabricators. Just call to arrange an appointment so we can show you through our showroom and warehouse in Dandenong South, select your slab and your stonemason will do the rest! Easy. Victoria Stone Gallery have a great selection of Carrara stone slabs, hand-picked by VSG from regular trips to the Carrara Quarries in Italy. 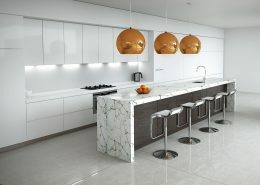 Amongst an ever-growing range of other Marbles, Super White Dolomite , Travertine and Granite. 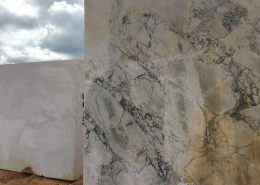 We also aim to specialise in some of the most unique, coloured, Brazilian Quartzite stone slabs to bring to Melbourne homes, offices and countertops. Founded and led by father and daughter in Melbourne, supplying marble, granite, quartzite and engineered stone slabs for kitchen benchtops all over Victoria, Australia. 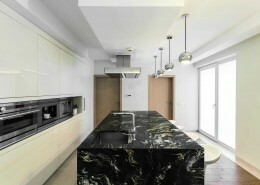 Victoria Stone Gallery is Melbourne’s only supplier of Trendstone Quartz and Trendstone XL. Reconstituted stone slabs made up from up to 93% natural quartz. Trendstone XL, 3.4m x1.9m are the biggest stone slabs in Australia, perfect for kitchen benchtops with minimised joins. We have a huge selection of Trendstone Quartz and Trendstone XL, collaborating with each other to bring Trendstone most exciting and comprehensive selection of stone in Australia. It’s like no other reconstituted stone! 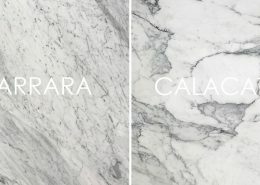 Carrara v Calacatta - What's the Difference?